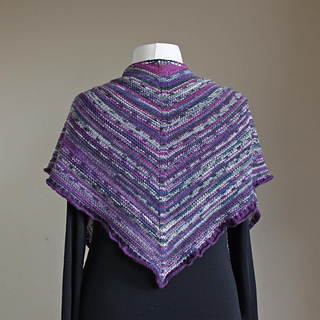 The idea for this shawl came to me while I was re organising my sock yarn stash. 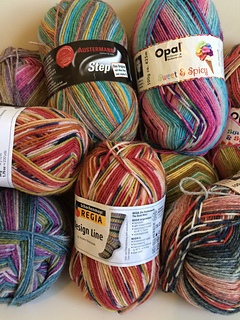 Like so many others I have a huge collection of self patterning sock yarn, and I began to wonder if I could design a project with this yarn - other than socks ! 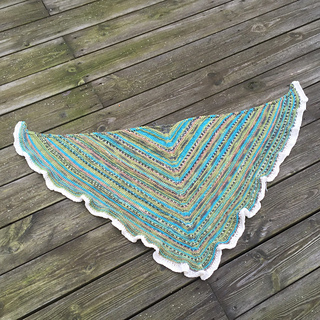 I wanted a simple shawl that would showcase the wonderful yarn, yet still be interesting to knit. 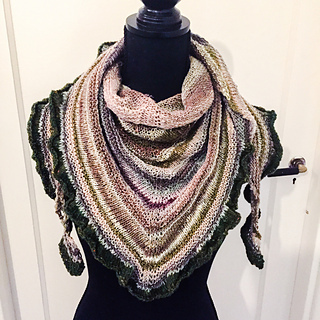 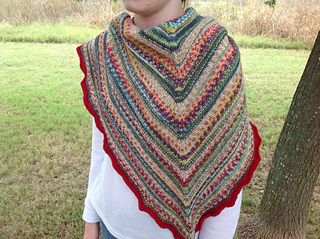 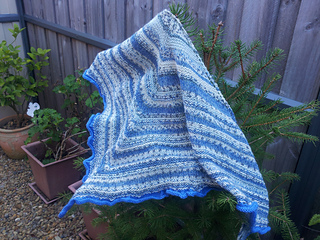 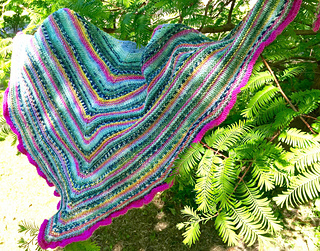 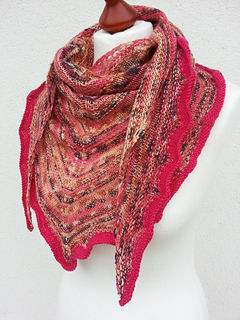 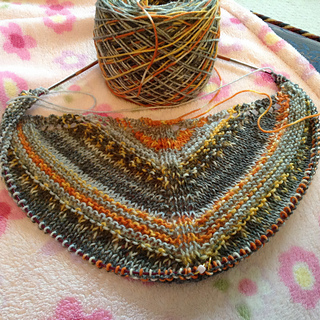 The Sock Knitter’s shawl is a triangular shaped textured shawl, with a pretty ruffled edge. 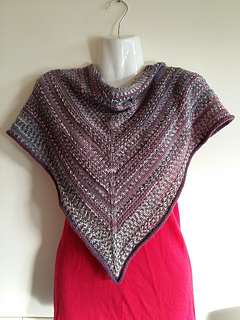 It is the perfect project for a new knitter, and a relaxing knit for a more experienced one. 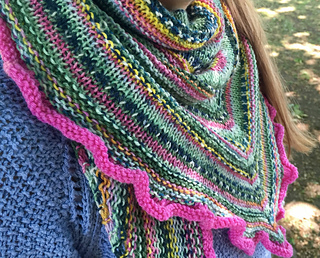 The combinations are endless thanks to all the fabulous yarns we have available to us, and I can’t wait to see yours !